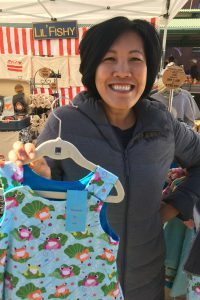 Each weekend, Vendors sell from 7am – 6pm on Saturdays and 9am – 5pm on Sundays. 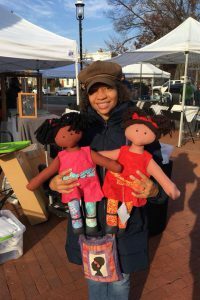 Hundreds of DC’s best local artists and crafters set up tents in the street and plazas surrounding the market. 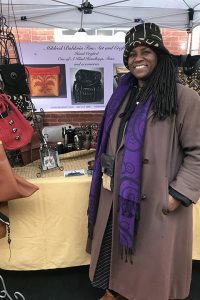 Eastern Market’s arts and craft vendors are made up of painters, sculptors, independent designers, woodworkers, jewelers, potters, and photographers! If you sell one of these product types, consider becoming a vendor! Drawing on the splendor of her homeland, Turkey, Enise brings the opulence of Istanbul’s grand palaces, the colors of old-world spice bazaars and the mystery of treasures hidden beneath the Aegean Sea to her unique jewelry designs. She continues a long tradition of jewelry making in Turkey that dates back centuries to empires of long ago. Dedicated to her craft, she creates jewelry as art. Enise began designing jewelry in 1999, melding silver, semiprecious stones and pearls into one-of-a-kind pieces with universal appeal. 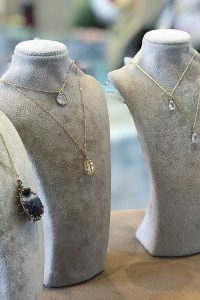 The founder of Enise, has developed a large following of loyal customers worldwide through her retail stores, as well as through trunk shows at such venues as Bloomingdale’s and Takashimaya, where some of the most selective buyers in the business vie for the latest trends. Some of the most glamorous and accomplished women — from music moguls and Hollywood actresses to newscasters and senators — proudly wear Enise’s designs. Each piece of jewelry is as individual as the woman who wears it. Look for Enise’s newest designs inspired by the old world. They will quickly become timeless treasures you can wear anytime. 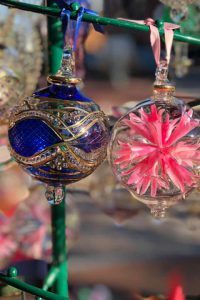 Hand blown Christmas ornaments and Mother of pearl jewelry boxes Made in Egypt. 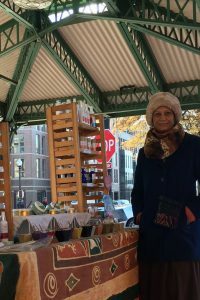 Habeebah Muhammad, Habeebah’s Herbals. “I have been studying and applying the use of herbs, flowers, medicinal Plants, and essential & spiritual oils for over 20 years. I am a Certified Aromatherapist, certificate from the American College of Health Sciences, 2009 and from the American Institute of Unani Medicine, 2000. I am a Certified Reflexologist from the Focus on Healing School, 2006, and a Certified Massage Therapist from the National Massage Institute, 2014. Handmade cloth dolls and art quilts by Jacqueline Bryant Campbell. 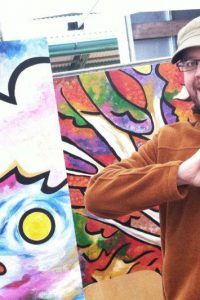 Joel has been showing and selling his colorful paintings and prints at Eastern Market since August 2000. His art is now all over the world. 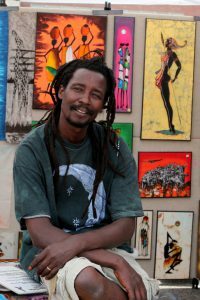 Owino is a life-long batik artist from Kenya, East Africa. His batik wall hangings are bright and colorful, evoking the beauty of his homeland. He welcomes everyone to his booth! Lil’ Fishy designs are inspired by Asian cultures and the cosmopolitan atmosphere of the west. Our clothing is all hand made, right here in America and everything is 100% cotton and machine washable. All of our onesies and tshirts for children is 100% cotton which are hand dyded and have been washed twice to protect their sensitive skin and they won’t shrink or fade. Jimmy Mann was born and raised outside of Tampa,Fla. 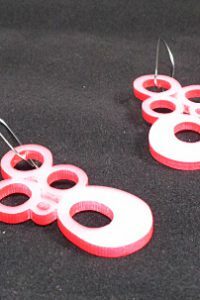 He has been designing and making jewelry since 1989 in both New York and Washington,DC.He has drawn on his love of POP culture and fashion to create a line that is both fun and sophisticated. All of the MANN MADE DESIGNS are created in silver.20K gold,fired glass,recycled aluminum,plywood and acrylic.He started his Form The Home Line in 2014 and it has grown each season. 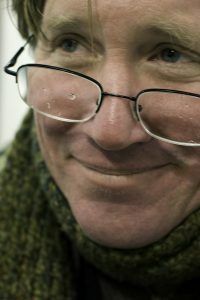 When not making jewelry he can be found on long walks with his dog Gadget in the historic neighborhood of Capitol Hill. Mary Belcher’s watercolor streetscapes and neighborhood maps of Washington, D.C., are known for their rich color and fine detail. 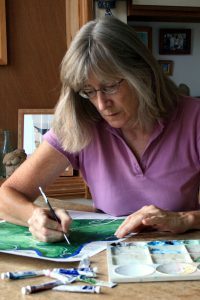 During her 22 years as a full-time artist, her clients have included The Nature Conservancy, U.S. Forest Service Visitors Center, Smithsonian Folklife Festival, National Building Museum, White House Historical Association, Stephen Decatur House Museum, D.C. Convention Center, DAR Museum, and many others. Mary’s “Map of Rock Creek Park” in 2014 was featured in a special issue of The Washington Post Magazine. Her note and holiday cards are especially popular. Mildred Baldwin specializes in one of A-kind Hand Crafted Bags, Totes and accessories. She currently works as a photographer at the Smithsonian American Art Museum where she’s been for 34 years.